The Emperor is my take on the beloved 3-pickup model from Fullerton. The shape that we all know so well was designed perfectly in the 50s - I have hopefully added to it's playability and comfort with a few modern alterations and have offered a couple of switching options that deliver a number of fresh combinations. 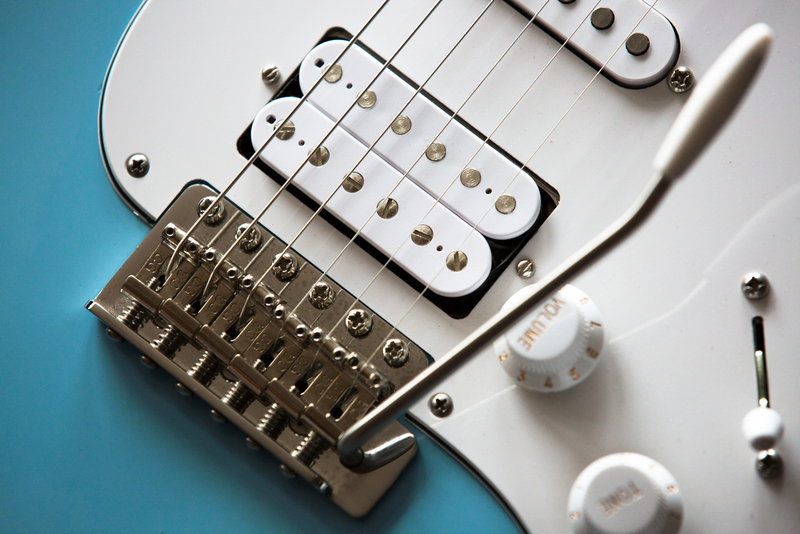 Fixed bridge or tremolo, Gotoh or Sperzel tuners, custom pickups configurations, ‘Gray’ or butterfly, gloss or matt nitro finishes, fret sizes, fingerboard radii - its all up to you and customisable. The neck to body join area no longer has square edges and a bulky neck plate. Instead, this area has recessed neck bolts and softened edges giving effortless access to the upper frets. 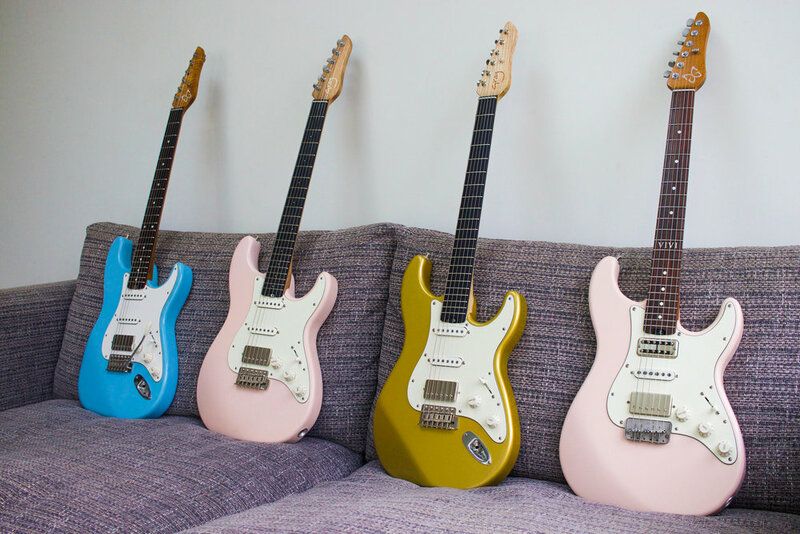 I have searched internationally for the best materials possible for Gray Guitars. This is a piece of master grade, roasted, flame maple. Strong, solid and beautiful. The fingerboard has a modern, 9 - 12 compound inch radius and sports large, highly polished frets - these factors make string bending a breeze with no 'fret outs' that can be a problem on vintage accurate, rounder fingerboards. 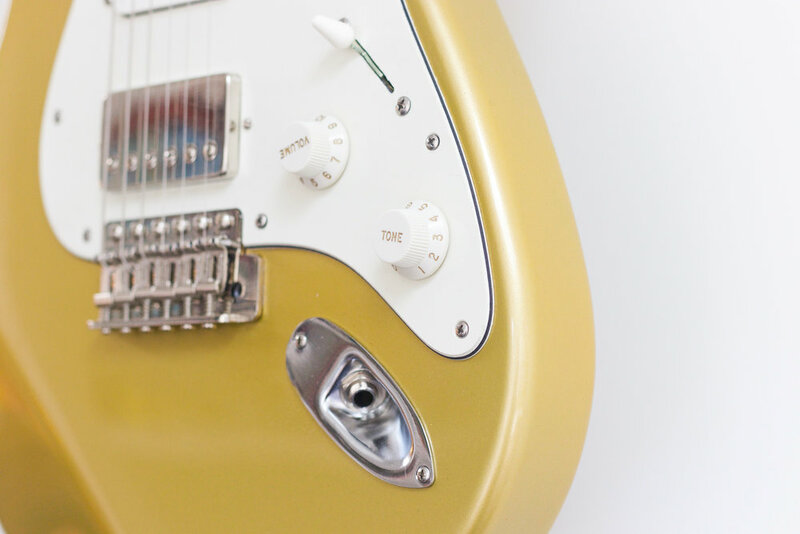 Any combination of singles, humbuckers, P90s, Filtertrons, and JM style pickups are available. 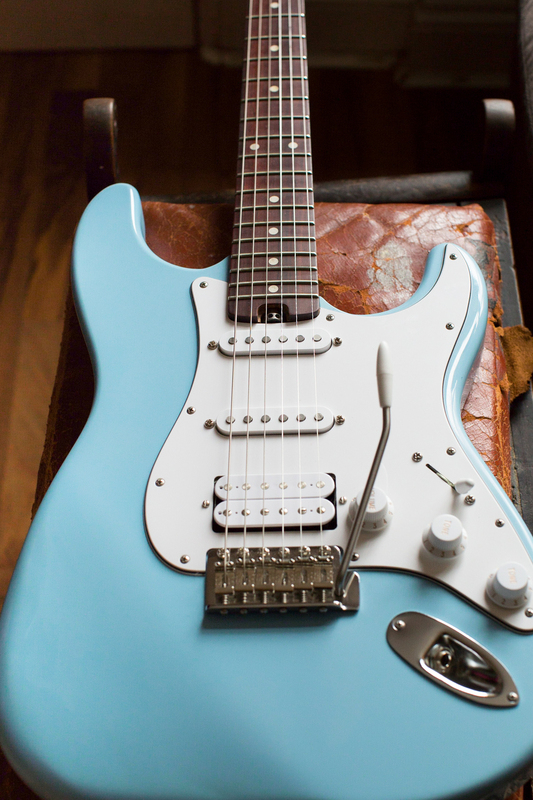 Plenty of switching options too, series-parallel, coil split, neck blenders, you name it…..
An uncluttered guitar top? Just ask…. Custom options such as the Roland MIDI set ups and the Fernandes Sustainer system are possible too. 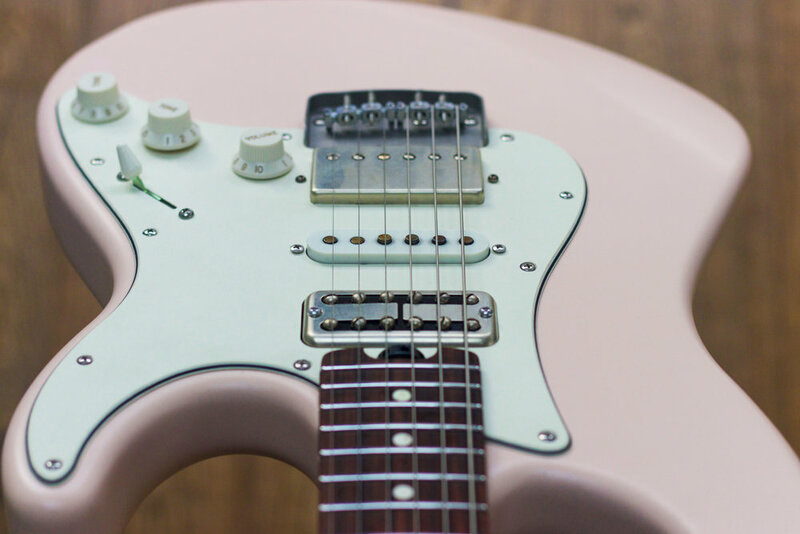 On this Tim Renwick Emperor, the second tone control acts as a coil tap knob - gradually creating a single coil from your humbucker. Very versatile. I use staggered, Sperzel tuners. 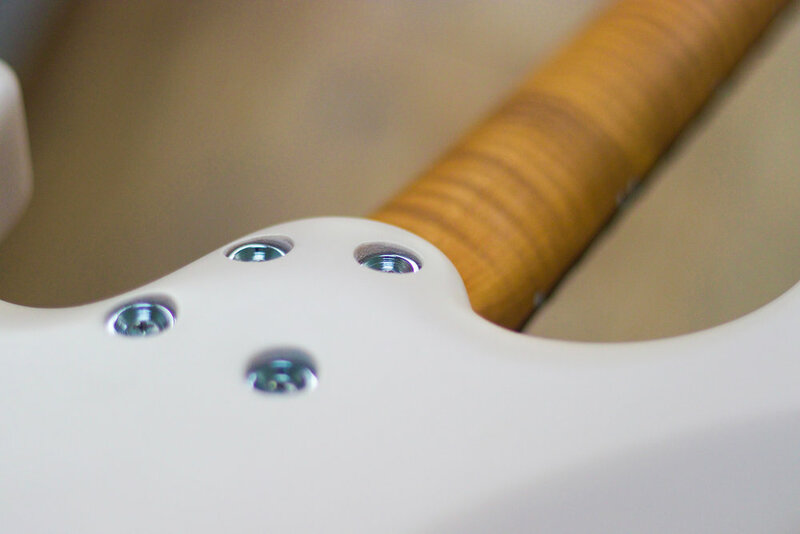 They eliminate the need for string tress - less friction, better tuning stability. Here is Chris Buck of Buck And Evans playing his custom Emperor model whilst explaining his choices. Beautiful sounds! Here is London session supremo, Mike Bradley putting this very guitar through it's paces! Some lovely tones, Mike! !